Its been a pleasure getting to know Jeremy Posluszny over the past year. We found out about Jeremy’s transformation via BodyBuilding.com. Jeremy’s journey has been a harrowing one, from a devastating series of epileptic seizures causing him to cease training all together for over 5 months, a combination of lack of training and seizure medication caused him quickly get out of shape. After a successful brain operation, doctors removed a golf ball piece of Jeremy’s brain, his seizures ceased and Jeremy returned to the gym. Starting with light cardio, and eventually graduating to heavy weight lifting, Jeremy began the process of getting his fitness life back. 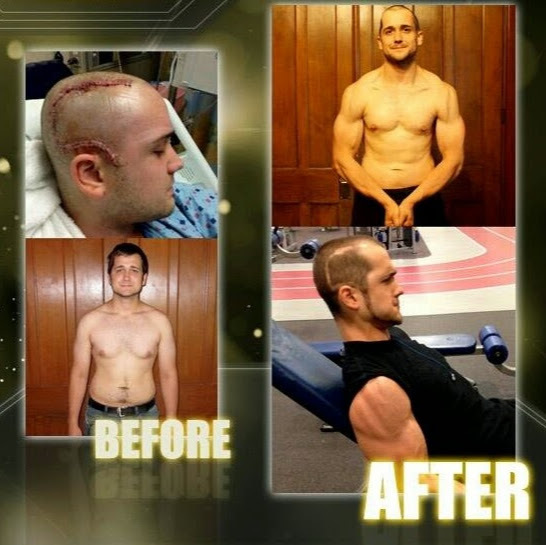 Pre-surgery due to lack of activity and seizure medication, Jeremy had gained over 60 pounds, but through hard work, dedication and heavy lifting he is in the best shape of his life. Jeremy’s hard work inspires us every day, and we are proud to support him on his journey by protecting his hands and featuring him as a partner athlete.